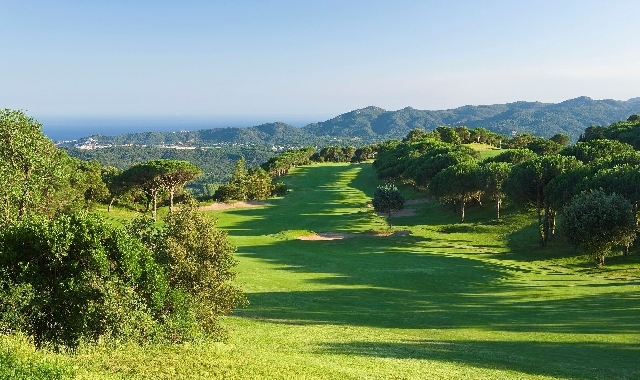 Club Golf d’Aro - Mas Nou is located in the heart of the Costa Brava and is one of Spain’s most spectacular layouts, set literally on top of mountain, at more than 300m above sea level, in a Natural Park of “Les Gavarres” with varying and interesting holes and incredible views of the La Costa Brava coastline below – Beautiful and peaceful surroundings. The course has views on all holes that take the breath away. It was built in 1990 and designed by the Spanish architect Ramón Espinosa. The golf course is a spectacular championship course 18 holes, par 72 plus. The first nine holes have a slightly undulating surface and the back nine have an uneven terrain which adds more technically in the game. 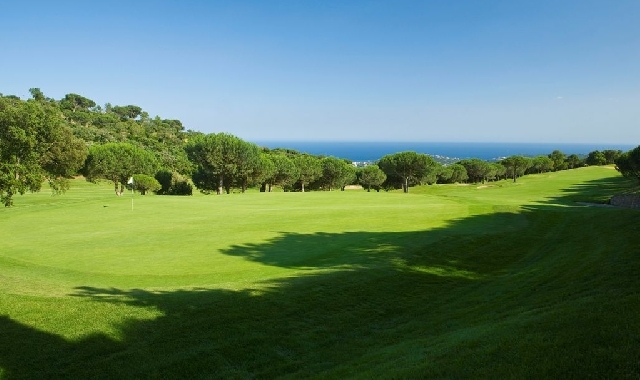 Along its route are pines, oaks, over a thousand olive trees and two large lakes 2600m also added a special charm to the course, also highlight the fauna of the area.Club Golf d’Aro – Mas Nou, also have a Pitch & Putt course, 9 holes Par 3 Executive. Genant dåliga greener. Värda max halva greenfeen inkl Golfhäftet. Trevlig layout. Spelade banan för 7:e gången. Hoppiga ojämna greener. Flera fairways uppbökade av vildsvin. Trevliga och omväxlande hål. Några av backarna ger bra motion, så golfbil eller eldriven vagn kan rekommenderas för de som vill göra det lite lättare för sig. En upplysning att det är riktigt långt till 1 tee behövs. Samt skyltar som visar vägen! Jobba mer med chippingområdet som är för trångt och bara funkar för kortchippar. Annars en oförglömlig bana man hoppas få spela igen och igen. 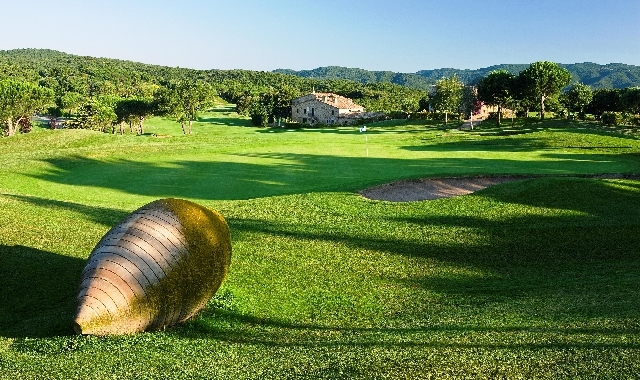 We've played 4 courses in the Girona region. They were all nice, but this was excellent. Beautiful layout, demanding course, and very affordable with our Golfhaftet cards. A must play course! Nice Golf course with beautiful views including some to the sea. Course is not difficult to play buy you need some advise. Some cubs have changed to nice 3D view at the Tee with Info about distance to bunkers. I would definetely come back. Just like the last golfcourse we played, people are very bad in repearing pithmarks. And overall people play is very slow. En ukendt golfperle i Catalonien. Aldrig spillet så smukt beliggende bane, og fra mange huller er der er en formidabel udsigt over Middelhavet. 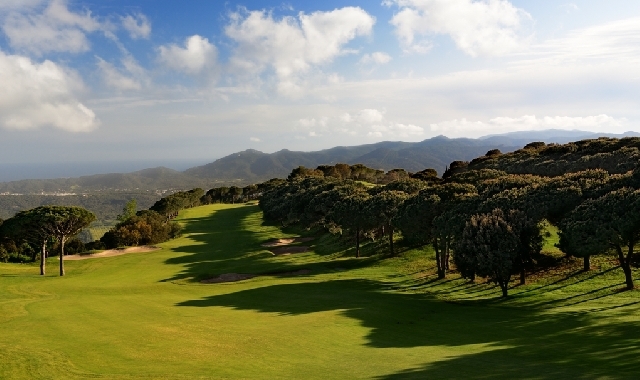 A fantastic golf course with views that are outstanding. Therefore it is sad that bunkers are the worst I ever played. Bunkrarna är inte bra om man utrycker sig milt. Bunkrarna saknade sand, mycket hårda. Magnificant place to have a golfcourse. very nice golf course , very pleasant to play with a very nice area view (sea) . small typical club house and restaurant. nice welcome and hospitality from club staff. for info : wondeful hotel linked with the golf (Silken San Jorge hotel) at seaside Philippe MOSSESSIAN from France.